Vietnam born and Dallas raised Nha Khanh is a visionary, a craftswoman, and an innovator — and she’s re-defining the limits of all evening-wear and bridal can be. Having dressed notables such as chanteuse Nora Jones, Model/Actress Brooklyn Decker, and actresses Gina Rodriguez and Laverne Cox (Orange Is The New Black) for electric red carpet appearances, Nha Khanh has quickly earned a place among the hottest and most respected designers of truly distinctive, sizzlingly beautiful evening wear. The collection is a goose-bump-inducing melange of classically feminine 50’s and 60’s silhouettes and a decidedly daring, deconstructed modern edge. Her bridal collection burns with an intensity fueled by the very same edgy-elegant aesthetic. Taking cues from both her family’s tailor/seamstress heritage and her apprenticeship with some of Paris’ most celebrated ateliers, each Nha Khanh design is an original work of art; imaginatively conceived and personally patterned by Khanh herself, and meticulously hand-sewn by members of Dallas’ renowned Vietnamese-American atelier community. The cutting edge Nha Khanh look is characterized by its signature asymmetrical cutwork, innovative seaming and lush, tactile surface textures. 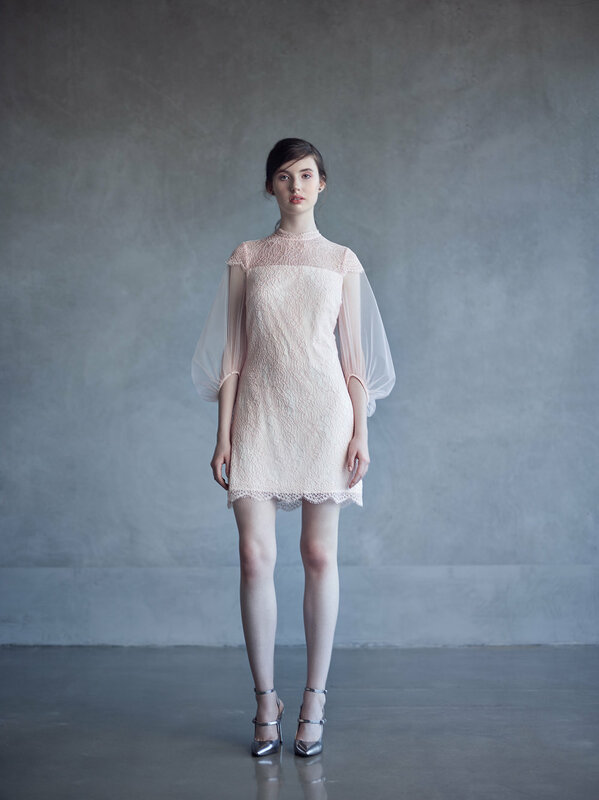 Nha Khanh designs infuse classic elegance with a shot of modern moxie; impeccable, world-class needlecraft with envelope-pushing stylistic pop; masterful technical acumen with a subtle wink of creative defiance; Atelier with a splash of Alt-rock. Like the women who wear them, Nha Khanh designs refuse to be confined by convention. Whether elevating an exquisite pair of jewel-encrusted heels or slamming with a perfectly scuffed pair of black combat boots, Nha Kahnh is the versatile, vivacious and visionary evening wear that gets noticed, admired and talked about.